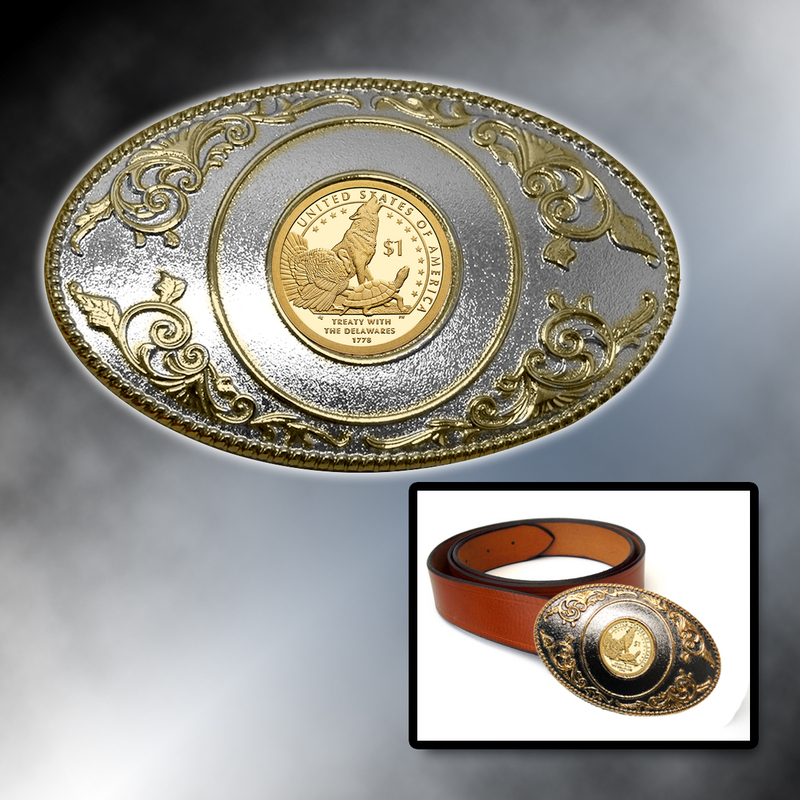 The Native American Golden Dollar is one of the most popular modern U.S. coins, and the exceptional 2013 coin is featured as the centerpiece of a beautiful new belt buckle. 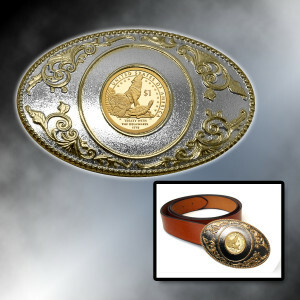 The belt buckle is a hefty 3.75” wide and 2.36” high, coin is 26.5mm. The coin is surrounded by an intricate design and is two-tone golden and silver. The 2013 Native American Golden Dollar was a one-year-only design honoring the 1778 Treaty with the Delawares (the first treaty between the U.S. government and a Native American tribe). 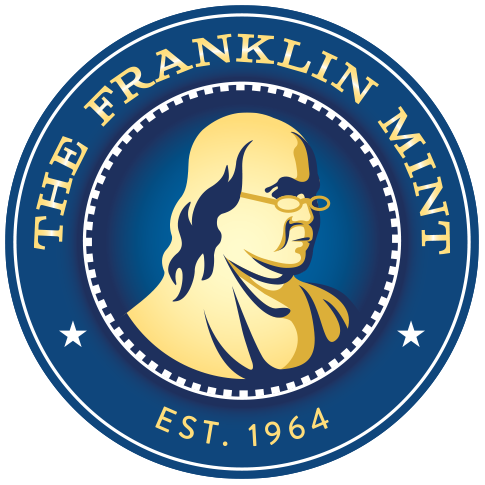 The coin design features a howling wolf, a turkey and a turtle (symbols of the Delaware). Together, they make a stunning and memorable image that honors Native American culture and history. Each year’s Native American Golden Dollar has a different design, and the 2013 coin has the lowest mintage of any coin to date. The coins were not released into circulation but were made available only to collectors in a strictly limited edition.